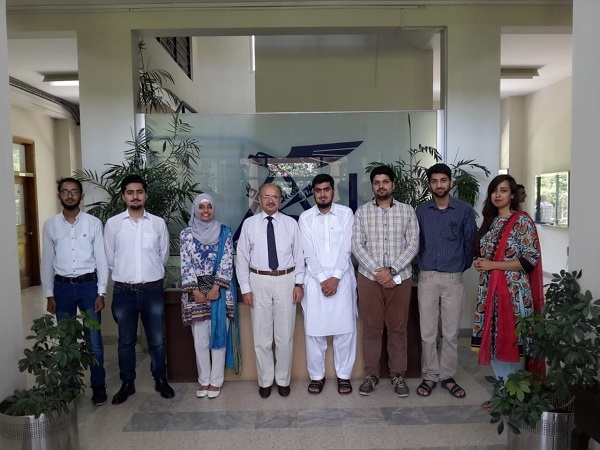 A team comprising six students of air university(AU) is participating in the Fifth International Summer School (ISS) 2018 organized by one of AU’s partner universities, Beihang University of Aeronautics and Astronautics (BUAA), at Beijing, China from 07 July to 03 August, 2018. Beihang’s International Summer School is an important window for international exchange, providing the unique opportunity for Air university students to study and work together with the group of international students from different countries for acquiring new knowledge, experience and insights. The program will provide state-of-the-art teaching and research environment, thus enabling AU students to acquire and imbue knowledge and skills to address complex problems in practical life, which is an important skill required in all professions. Participation of AU students in BUAA ISS is in-line with AU’s strategy to enhance international exposure of its students at top-ranked world universities. BUAA is one of the Chinese Project 211 and Project 985 universities, which is placed at 491 in QS Global World Ranking and 84th in the Asian University Ranking. Snice 2007, Air university has a very active collaboration with BUAA on high level technological and scientific research.